If your pet gets diagnosed with a disease, coverage might get iffy. 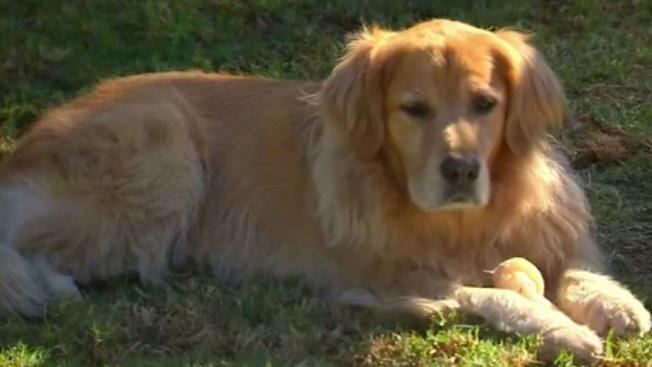 Sandy Glick describes her golden retriever, Mia, as a "very sweet dog." That sweet dog, however, was recently diagnosed with kidney disease. "At that point in time I was just a mess," Glick said. "I was crying. It was hard." Despite the difficult news, however, Glick stayed focused on Mia's health, not the medical bills. After all, Glick had pet insurance. But when Glick filed her $7,000 claim, her insurance company, Trupanion, denied it. The company pointed to symptoms like "decreased appetite" and "drinking excessive water" to argue that Mia's disease was preexisting and therefore not covered. "If those are their idea of a preexisting condition, I don't get it," Glick said. It's a problem that can catch other pet owners off guard, as well. They buy pet insurance to help with hefty medical bills, but they may not end up getting what they expected. "Unfortunately, we hear a lot of complaints about pet insurance," said Jill Gonzalez, with personal financial website Wallet Hub. Gonzalez said pet insurance is generally reliable when a pet is in an accident, but when that pet is diagnosed with a disease, coverage is iffy. "Insurance does step in on any type of accident, like a car accident, or on any type of animal-on-animal incident. So that's when consumers have been happy that they've had this type of insurance," Gonzalez said. "But when it's a naturally onset issue, that's when the insurance doesn't really come into play." Glick could not understand how Trupanion could deny her claim, and neither could Mia's veterinarian. In a letter to Trupanion, she said Mia's symptoms were "definitely not a typical sign of renal disease." Mia's Kidney specialist weighed in, too, telling Trupanion, "There was no history...to make this a preexisting condition." The company said it had reviewed the claim "in depth" and sent the case to an independent, third party veterinarian for review. That vet, paid by Trupanion, also said Mia's condition was preexisting. Trupanion said it is "dedicated to helping pet owners provide the best possible care for their pets" and that it does "everything in our power to provide excellent and professional service." Glick said she wants people to learn from her story. Experts say that instead of buying pet insurance, consumers should consider setting up a savings account for pet emergencies. Then, when something unexpected happens, they're financially ready for it. These days, despite the insurance troubles, Mia is as sweet as ever. "Considering her diagnosis," Glick said, "she's doing well."